Vibrant colors and intricate design pattern, this floral gold medallion rug is handmade in 100% pure silk on cotton material. Number of Knots in this rug is 324 knots per square inch. The base is in cotton and top is in pure silk. It gives a luxurious touch once it is placed. 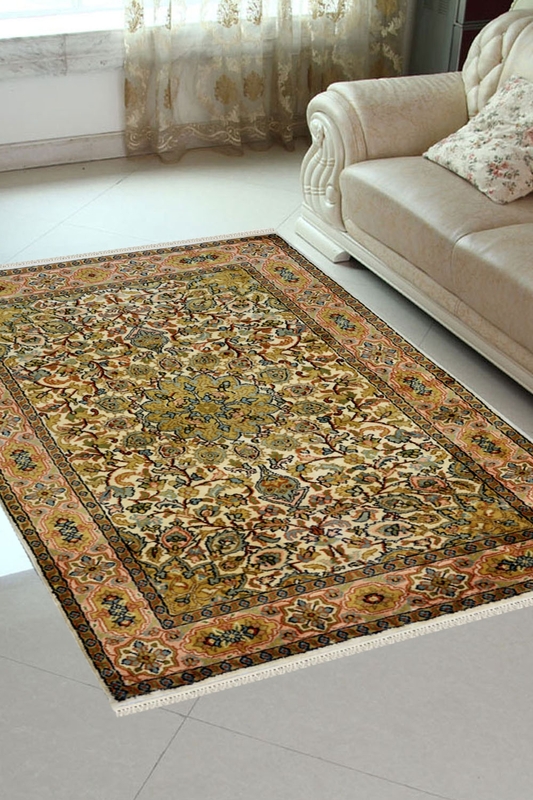 It contains a Kashan medallion design which has been originated from Persia. Adore your space by placing this gorgeous silk rug into your living space.